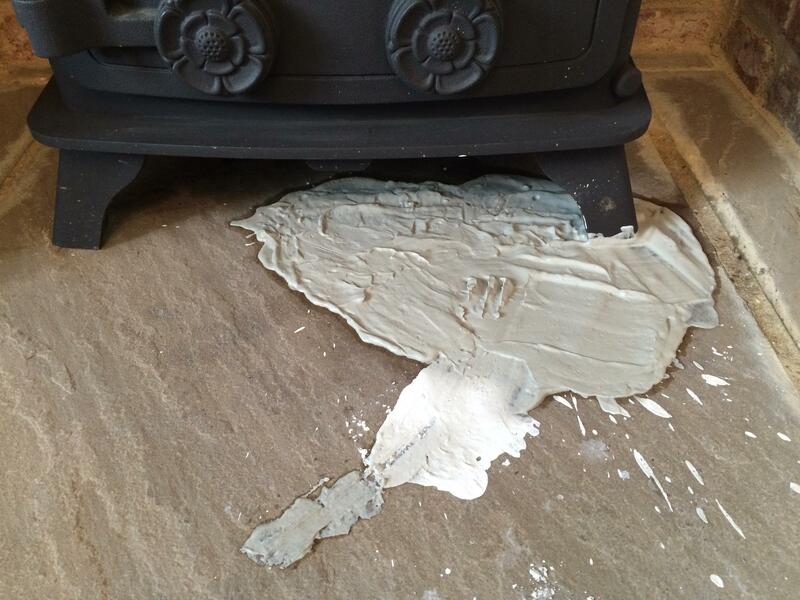 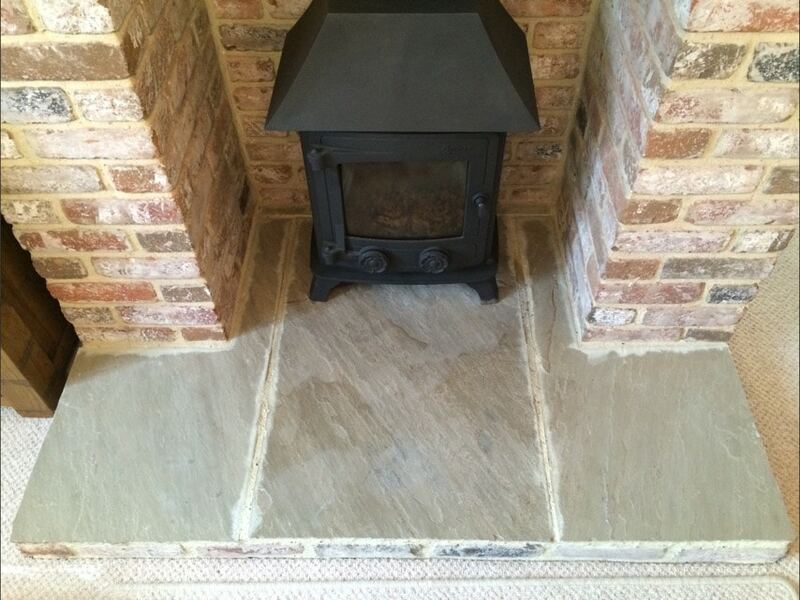 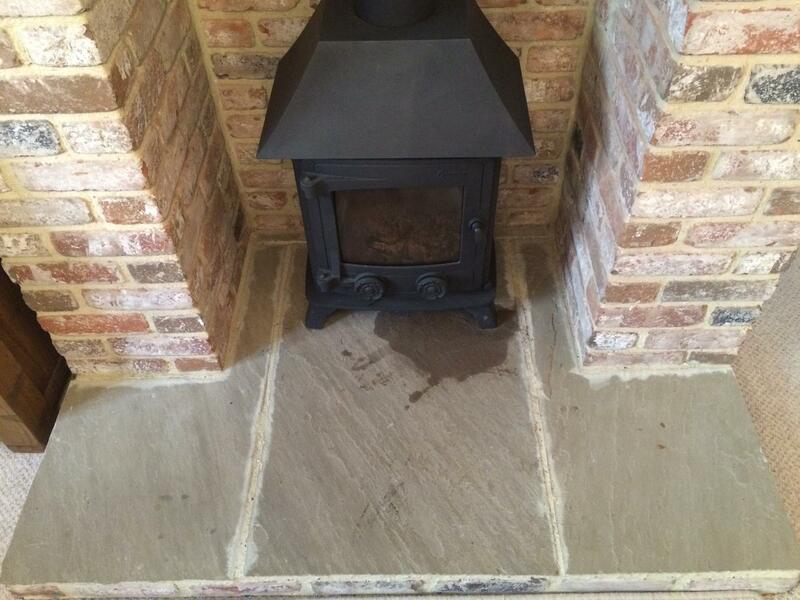 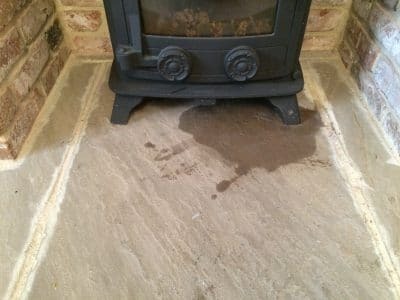 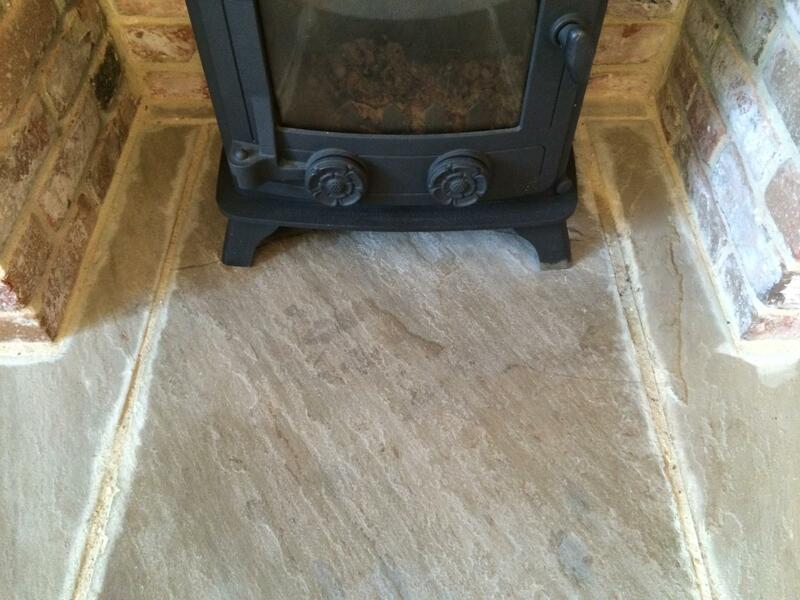 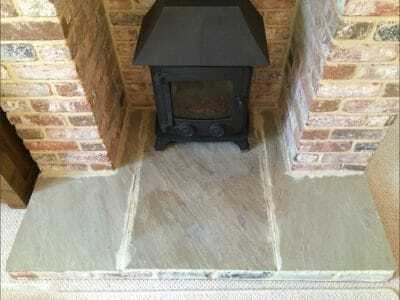 Oil Stain removal from York stone hearth after a candle melted from the log burner heat leaving residue in the stone with an obvious stained dark mark. 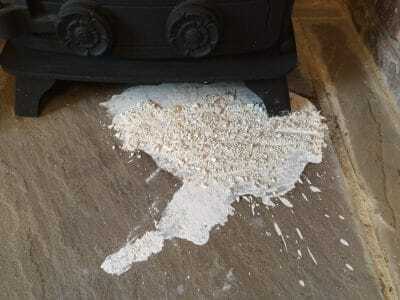 Close up of the stain to the York stone. ...once dry the powder is broken and collected so I can clean the surface again. After the second clean up of the treatment the stone looks cleaner and the large dark stain is virtually gone and you wouldn't think a stain was present. Close up of the repair doesn't show any particular problem where the stain was before.